50 years after the launch of their careers in show business, the remaining of the Jackson brothers celebrated with a spectacular tour. 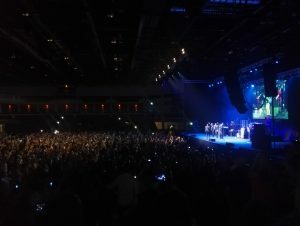 On the 26th of June, fans gathered at the Motorpoint Arena in Cardiff for the remarkable performance of Jermaine, Tito, Jackie and Marlon. This was not the first Jacksons reunion; in 2012, merely three years after Michael’s passing, the four brothers gathered for a Unity Tour in memory of the late King of Pop. However, as the Unity Tour never made it to Wales, this was their first visit to Cardiff. The Jacksons, previously Jackson 5, are to this day one of the most notorious family pop bands. They, and especially Michael Jackson, have been repeatedly credited for changing the world of pop forever. Even though the band’s success had an unquestionable downfall after Michael left to pursue his solo career, it was wonderful to see the arena full of excitement and anticipation half a century after their rise. A pattern was noticeable in the crowd – most people attended the concert with their families. Parents introduced their children to the Jacksons for the first time; young adults accompanied their grandparents as they reminisced about the past. The opening of the concert, similarly to the preceding Union Tour, was charged with nostalgia. Some of the crowd favourites, such as I Have a Feeling, Blame It on the Boogie and Enjoy Yourself, set the mood for the night. The original recordings of the iconic synchronised dances played on the screen behind, while the same moves were being performed live on stage by the slightly more aged singers. In outfits just as bedazzled as in the old days, if not a little less flared, the Jacksons were still impressive with their moves and infinite energy, and managed to raise the entire audience on their feet. More so, vocally they are as strong as ever. Dare I say, I preferred the newer renditions of some of their hits, to those performed in soft, children’s voices. The entire concert felt very personal and heartfelt. As expected, pauses were taken for the mandatory montages of old pictures of the brothers and the house they grew up in. 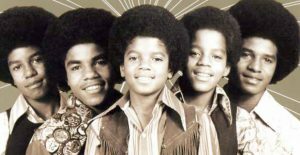 Videos of their parents and the founder of the Jackson 5 showed reflections on a lifetime’s worth of work and accomplishments. More touching was the intimate chat the singers had with the crowd, in which they personally addressed Chris, a young terminally ill boy with a talent for drawing, whom they had met earlier. They talked about a portrait the boy drew for them, and sounded truly sincere in their thanks to him. The concert was dedicated to the families who lost loved ones in the recent fire in London, as well as to the brother they lost, and as a tribute, the group performed Gone Too Soon. The single brought out shouts from across the audience: We love you, Michael! 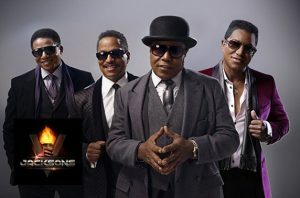 A fresh vibe was brought by Tito Jackson in the second half of the concert. Last among his brothers, Tito released his first solo album in December 2016, named Tito Time. He introduced it by performing the two first singles from the album – When The Magic Happens and Get It, Baby, the latter of which was accompanied by back vocals by the rest of the Jacksons. His music seemed to preserve some of the positive tone and liveliness of the Jackson 5 hits, but with a more modern twist. The concert’s closing song was Shake Your Body (To The Ground), after which the Jacksons shook hands with the front lines of the public. The tour leaves the UK on the 7th of July with a visit to Liverpool.